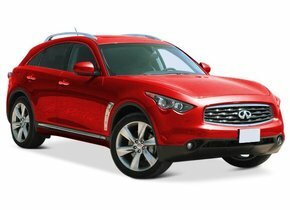 The Infiniti brand is actually directly linked to that of Nissan. What many people don't know is that there is also a connection with Renault. This is the case because of the Renault-Nissan alliance. Officially, the sale of Infiniti brand cars started on 8 November 1989. This was done on the North American market. A relatively efficient marketing also ensured that the brand also gained a foothold in other countries such as South Korea, Russia, Taiwan and the major China. In the Netherlands these cars are very rare, but sometimes they dare to appear in the streetscape. Are you going on the road with an Infiniti, but did you experience damage to the windscreen caused by rubble during a car ride? The windscreen replacement of your Infiniti may be crucial, but how do you do this without being confronted with sky-high costs? By appealing to Autoglas Concurrent of course! In fact, a windscreen replacement of an Infiniti is in most cases accompanied by a very substantial price tag. This has a lot to do with the fact that most people choose original car windows. The windscreen replacement of your Infiniti with an original car window is no problem, of course, but it does ensure that you pay much more money than is strictly necessary. The only reason why an original windscreen is so expensive is the presence of the brand logo. This logo ensures that you can initially only buy original windscreen from a genuine brand dealer. In this case, you should therefore take the extremely high price for granted. Our competitors will be happy to make you believe that a damaged windscreen will always result in your Infiniti's disapproval of the APK. However, that is not the case at all. To make sure that you don't have to deal with disapproval, it is important to look at the exact place where the damage appears. Is that the case in the middle of the driver's field of vision? Then I am sure you will have a problem. After all, an inspection for the APK will lead to the conclusion that the damage can be bothersome for the driver and can therefore constitute an obstacle to general safety. Windscreen replacement of the Infiniti is an absolute must in this case. Failure to do so will result in disapproval of the APK with all the annoying consequences that entails. Replacing the windshield of your Infiniti when you only have a limited budget at your disposal doesn't have to be a problem at all, on the contrary. Did you know that you can also choose to order a new Infiniti windscreen produced for the after-market? Such automotive glass is produced in the same factory as the original car windows and is even part of the same production line. This ensures that we can state with absolute certainty that there is no difference in quality between the original and after-market car windows for your Infiniti car. One thing in any case is certain, the after-market car windows of Autoglas Concurrent are produced according to the strictest possible European quality standards, making them ideal for your Infiniti car! Buying a new Infiniti windscreen for a very interesting price is only one thing, of course. It is more than likely that you will not be able to replace the damaged automotive glass with the new one. There is no need for that at all. It is also possible to have a windscreen replacement for your Infiniti by Autoglas Concurrent. Because we consider it crucial that our customers are always assured of the best value for money, we call on one of our FOCWA-certified partners. These craftsmen have all the experience required to make the replacement not only qualitative, but also very fast. So you can quickly use your restored Infiniti to get back on the road. Also replace a windscreen of your Infiniti? Then don't look any further and choose to outsource this to Autoglas Concurrent!